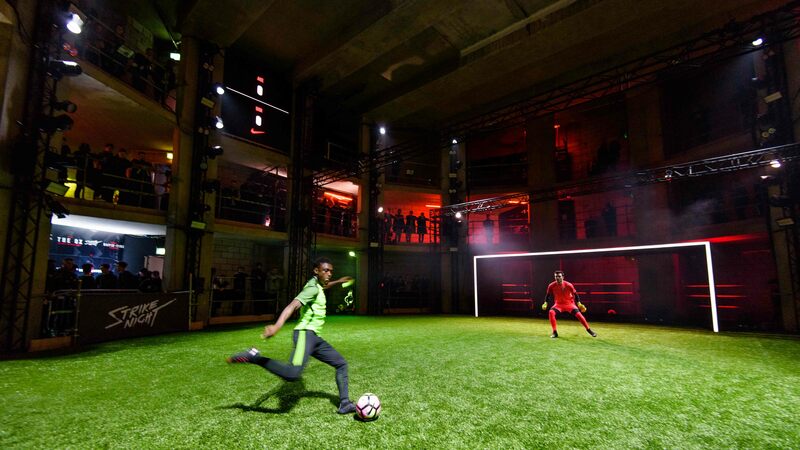 Sports brand Nike hosted its first ever ‘Strike Night’ event at a secret location in London. The activation, which took place last week, aimed to celebrate the launch of the Nike Hypervenom 3 football boot and was coordinated by agency XYZ, which worked with the brand to bring eight of Europe’s top strikers together for a knock-out competition. Other agencies working on the project included AKQA, Limelight, Groovy Gecko and United Visual Artists. Those unable to attend the event could watch live on Facebook, with the event achieving over 2.6 million views via the social media platform. Will Mould, managing director of XYZ, said: “Strike Night was a perfect example of how a live brand event can be amplified by collaboration and clever use of technology. We are very lucky to have a client such as Nike who not only believe in that vision as well, but who trust us to deliver their most important brand experiences on a global scale”. XYZ are currently working on further experiential activity for Nike, as well as clients Celebrity Cruises, RayBan and Size.